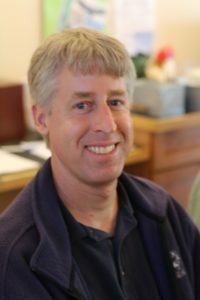 Mike Stake, a Senior Wildlife Biologist with the Ventana Wildlife Society, will address the Double Nickels luncheon for those 55 and Up, on December 13th. Luncheon begins at 12 noon at the Church of the Good Shepherd, 301 Corral De Tierra Rd, off Hwy 68 between Monterey and Salinas. Stake’s presentation and conversation will be opened to all ages at 12:30! Stake, a native of the San Francisco Bay Area, will offer the Double Nickels gathering a presentation about owls, a subject of particular interest as Central Coast residents attempt to deal with our ubiquitous, destructive rodents. Stake attended the University of Nebraska, adding a few eastern birds to his “life list,” for his undergraduate degree and received his Masters at U. of Missouri. While with The Nature Conservancy at Fort Hood, Texas he monitored endangered Black-capped Vireos and Golden-cheeked Warblers and he later assisted with research projects in the Bahamas, Australia, Peru and Ecuador. He now holds a Masters and has completed five years of avian research projects with Hawks Aloft in Albuquerque. Stake has also worked with power companies and agencies to help resolve avian issues associated with power lines.